LinkedIn’s Securities and Exchange Commission filing on their acquisition by Microsoft details the events leading up to the $26.2B price tag. 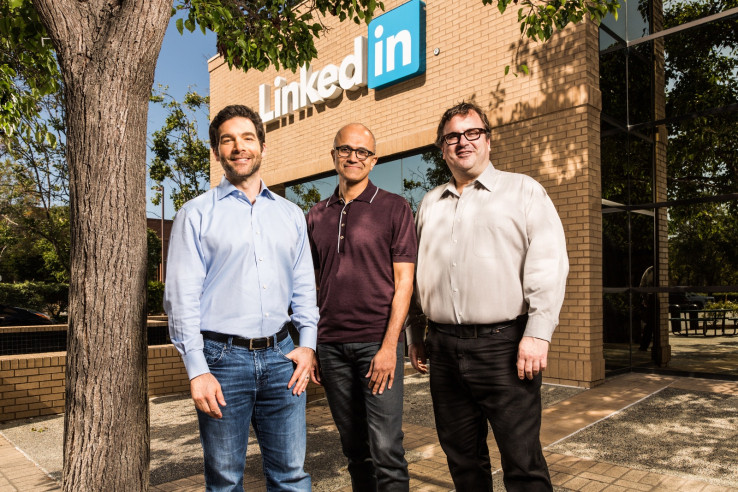 Microsoft’s original offer was $160 per share in cash, but LinkedIn’s CEO, board of directors, and advisors wanted more. In exchange for a higher price, Microsoft CEO, Satya Nadella asked for “cost synergies” to be included in the transaction. Cost synergies is executives, investment bankers, and management consultants speak for layoffs. Companies all have the typical back office functions such as Finance, Accounting, Information Technology, and Human Resources. These functions become redundant after a merger or acquisition, so they can be centralized at the parent company and eliminated at the subsidiary. It is typical in this type of business transaction. There is no surprise employees will be impacted, but fascinating to see “cost synergies” as a trade for a higher share price. Steven Sordello, LinkedIn CFO, teamed with Amy Hood, Microsoft’s chief financial officer, to identify the opportunities in cost synergies and finalized the details on June 10th. Details of all this can be found on page 42 of the filing.